Very simply put… you can print anywhere from any device. 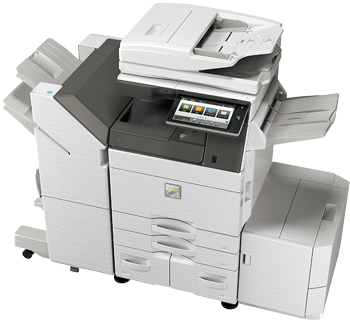 Whether you have a smart phone, tablet, laptop or any other web-connected device, you or your customer can print to the New Sharp, Phoenix Series machines (MX-3050N, MX-4070N, MX-6070N etc.). If you are in the same room or half-way around the world you can now securely print with a single click, directly from your Google account. Sharp has created a new Technical Tip to give you step-by-step instructions on how to set this up. Log in to www.sharp-idncservice.com and download TT-110716_R1. If you have issues downloading or finding the tech tip, please let me know via email and I will get you a copy.